Solomon had the most liked content! Congrats to Peabody! And now Trousdale Co. will begin a movement to push you to a separate division so it's easier for them to win! Pretty sure it's actually a tornado. 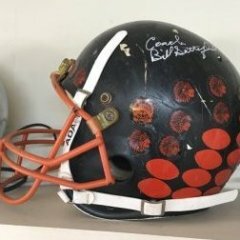 Since its public knowledge now, Tee Hodge out for rest of season. Alcoa by 28+. This is about as good of alcoa team as ive seen. Said it last night, will say it again, go practice at the jr high all week. Will be a fun one. Rebels gonna have to bring their A+++ game. Always helps when your principal is an outgoing member on the BOC. What's to appeal? Right or wrong, he blew about 4 gaskets and got tossed, this stomped across the field like my little girl when we tell her no more candy. Wasn't worth a new thread, but USJ has lost 20% of it's enrollment from 2 years ago??????? What? People are underestimating the Rebels defense. It's gotten sneaky good in the second half of the season. Not perfect, but definitely pretty dang good. Thankfully they look the other way in chillier games when you walk up with coffee. As for the game itself, Rebels better show up. They do and all should go well. Playing those first 6 games pays off now.